Are you wondering where to find Petoskey Stones and how to polish them? These stones are absolutely stunning fossils. As Michigan's state stone, I bet you are excited to find one during your Michigan Vacation. Let's start hunting!! Petoskey is one of my favorite cities to visit! 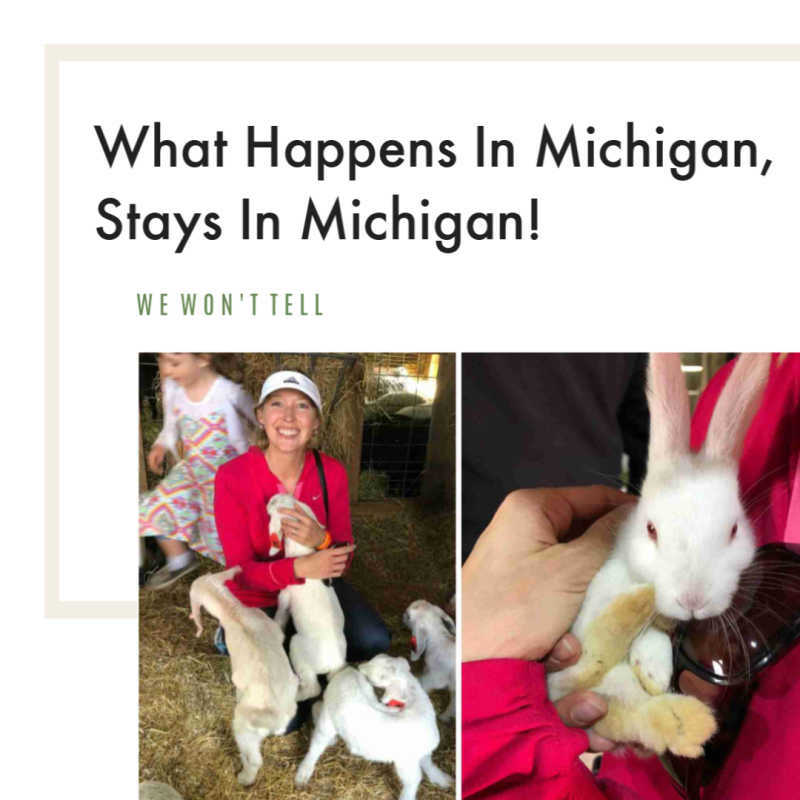 See our Petoskey adventures here! Where to Find Petoskey Stones! These gorgeous stones can be tricky to find so don't be disappointed if you only find a small one! Have a couple leads on where to find Petoksey Stones can make all the difference!! 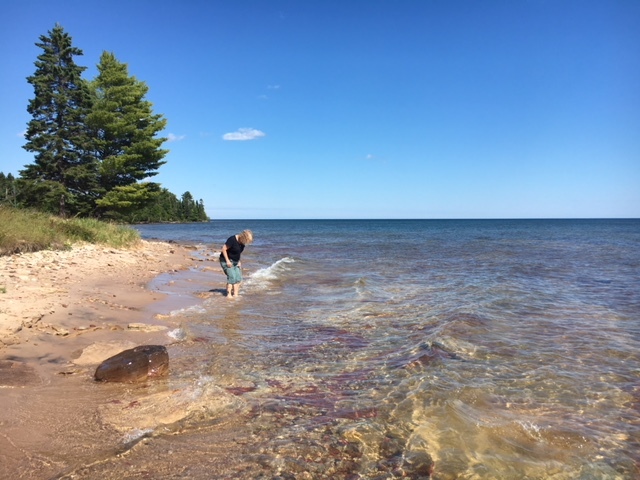 Magnus Municipal Park, located at 901 West Lake Street, Petoskey, is one of the best places to search for Petoskey stones! What Are Petoskey Stones and Their History? Almost a century after the founding of Petoskey, on June 28, 1965, Governor George Romney signed a bill that made the Petoskey Stone Michigan's official State Stone. Miss Ella Jane Petoskey, the only living grand-child of Chief Petosegay, was present at the formal signing. The bill simply states that the Petoskey Stone is the State Stone of Michigan. The designation of Hexagonaria percarinata was made by Dr. Edwin C. Stumm in 1969. Dr. Stumm made this distinction based on his extensive knowledge of fossils. This specific fossil coral is found only in the rock strata known as the Alpena Limestone. The Alpena Limestone is part of the Traverse Group of Devonian age. The Alpena Limestone is a mixture of limestones and shales. The outcrops of these rocks are restricted to the Little Traverse Bay area near Petoskey. Northern Michigan is the only place you will find this particular genus of fossilized coral? In 1965 this stone, or more correctly, this fossil, was declared to be Michigan's state stone. There gorgeous patterns are more easily seen when wet but they can be polished to reveal their stunning circular patterns. It is said that carrying a Petoskey Stone in your pocket will bring you good luck! We can all use a little of that, can't we!? It's sometimes tricky knowing where to find Petoskey Stones. Here are a few suggestions!. Avoid the busier, more populated beaches. Everyone and their brother will be walking the beaches looking for these stones so your chances will decrease vastly in these well traveled areas. Find more off the beaten path locations to search. Hit the beach early in the morning. Many beachcombers, rock hounds and tourists will be combing the beaches by noon, so if you hope to snag a couple gems I recommend you begin your search early. Search along the water's edge. 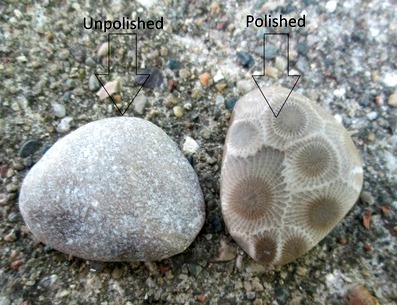 It is extremely difficult to identify a dry Petoskey Stone as it simply looks gray. Their distinctive hexagonal design stands out best when the rock is wet. In the middle of summer it's fun to don a mask and go under water and search for the gorgeous rocks! Bring a spray bottle of water. If you are venturing away from the water's edge, it's a good idea to bring water so you can sprinkle the rocks while searching. See the photo above and you will know why!! You just might find a big fossil that way!! I was surprised to learn that Petoskey Stones can be hand polished. It simply requires a few materials, a little time, and some effort. The materials required for polishing Petoskey Stones are sandpaper (220 grit, 400 grit, and 600 grit), a soft cloth, polishing powder or heavy duty rubbing compound, and a file. Grit refers to the size of the grains on a sandpaper. The higher the number, the finer the grain or grit. Sandpaper and most of the supplies you will need are available at hardware stores. Sandpaper that can be washed, or at least get wet, tends to last longer and work better. STEP 1. If your Petoskey Stone is not already a nice rounded shape, you may wish to use a file to further smooth the stone or better shape it. STEP 2. Dampen your rounded Petoskey Stone, and sand it with the coarse 220 grit sandpaper. Hold the dampened stone firmly in one hand and rub the area of the stone to be polished on the sandpaper with a steady, rotating motion. Upon completion, rinse the stone and let it dry. Examine for scratch marks which should be removed with more rubbing. This first sanding is very important and should be done with care. Repeat the sanding process with the 400 grit sand paper. Then, do it again with the 600 grit sand paper. STEP 3. Once you finish sanding the stone, look it over very closely. If you see any scratches, sand it again with the 400 grit and then the 600 grit until the stone is smooth and blemish-free. Make sure it's perfect before polishing! STEP 4. To polish the stone, sprinkle a very small amount of polishing powder or compound on a lightly dampened corduroy or velvet square. Rub the stone in short circular stroke. And there you have it!! We hope this guide gave you some tips on where to find Petoksey Stones. Your very own polished Petoskey Stone! At this point you can glue on a necklace bail with E6000 glue. Bails can be purchased on Etsy or your local craft store like Hobby Lobby.